When it comes to MLM Software, many companies are so under capitalized in the MLM Marketplace when they start they do not budget enough for their MLM Software and consequently end up with an inadequate non Multi-Lingual MLM Software package. The reason Multi-Lingual MLM Software can be so important in today's marketplace is companies can quickly grow beyond the border of the country they started in or even grow beyond English in the country they started in. In the world of MLM Software, if you start with a solution that doesn't have unlimited Multi-Lingual capabilities that have been designed into the MLM Software product from the beginning, you can find yourself having to do a very expensive and dangerous switch or upgrade of your MLM Software. Due to just how pervasive language capabilities in MLM Software are, it is possible that it simply can not be added later to an already existing MLM Software system. In order for Multi-Lingual MLM Software to be truly multi-lingual, it must be designed from the ground up to handle multiple languages. Our Software has been designed to be Multi-Lingual MLM Software and deal with an unlimited number of character sets. Our Multilingual MLM Software is designed with a Translation interface, which allows you to take your best bi-lingual individuals and have them translate the system into the languages of your choice. 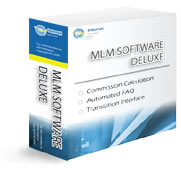 To go to our Multi-lingual MLM Software package details page, Click Here.